Uranium dating of coral tools used by the earliest settlers of the South Pacific island kingdom of Tonga offers unprecedented precision in reconstructing their history. 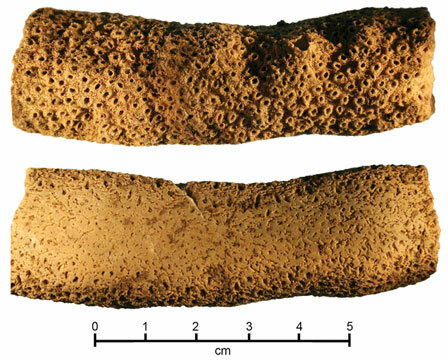 ANCIENT FILE: Coral tools like this one helped David Burley and his colleagues estimate the date that Tonga was settled by ancient people from Papua New Guinea. Note the back side of the file (bottom), worn down by use.IMAGE BY CHICHI LAMAbout 3,000 years ago, inhabitants of New Guinea set their sights east and headed out to sea, sparking an expansion of humanity across thousands of miles to islands scattered across the South Pacific. Archaeologists have been able to track the migration of these pioneers, a group called the Lapita, by their distinctive pottery. 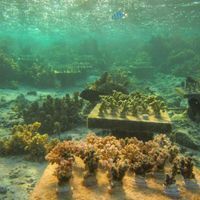 But now, researchers are using advanced chemistry involving the coral tools used by these early explorers to more accurately reconstruct their maritime peregrinations. The first stop the Lapita made in Polynesia was the settlement of Nukuleka in the Kingdom of Tonga, but “like anything, there’s a lot of debate about the origins of the Polynesians,” says David Burley, a professor of archaeology at Simon Fraser University in Canada. In particular, the date that the Lapita made landfall on different islands has proved impossible to nail down. The date that the Lapita made landfall on different islands has proved impossible to nail down. Recently, Burley aged a charred nut buried deep within the site using radiocarbon dating, and estimated that it was between 2,769 and 2,947 years old. 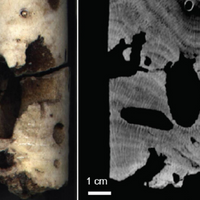 Radiocarbon dating is fine, says Patrick Kirch at the University of California, Berkeley, “except it has relatively big error bars on it.” Realizing this, Burley and colleagues at the University of Queensland in Australia looked to tools made of coral to home in on a more exact date. Members of the Lapita culture used chunks of staghorn coral as files to smooth and sculpt wood and shell. Corals, in building their calcium carbonate skeletons, incorporate uranium (U) from seawater, and that uranium decays to become thorium (Th) at a trackable rate. The ratio of the two elements provides a precise estimate of how long ago the coral died. 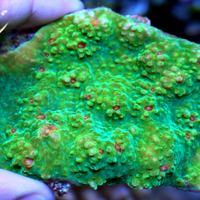 Kirch has had success using U/Th dating of coral offerings placed at temples in Hawaii. Previous radiocarbon data from wood charcoal at the temples had suggested a gradual development of temples over the span of a couple hundred years, but more precise coral dating showed that the temples were actually built during just several decades (Science, 307:102-04, 2005). “The statistical uncertainty [of radiocarbon dating] was masking the real chronology,” says Kirch. Using 13 coral files from different strata within the Nukuleka site, Burley’s team nailed down the founding of Nukuleka to 2,838 years ago, plus or minus 8 years (PLOS ONE, 7: e48769, 2012). “All 13 dates fall nicely into sequence,” he says. “We rarely get that precision in archaeology. 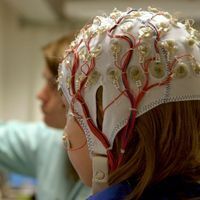 That’s what’s exciting for us,” says Kirch, who was not part of the current study. “This is the first time people have been able to do [U/Th dating] for early sites,” notes Matthew Spriggs, an archaeology professor at Australian National University. In comparison, Kirch’s coral offerings in Hawaii were only several hundred years old. One of the concerns with old samples is diagenetic alteration, which is a compositional change in fossils and sediments that can happen during their preservation and that can affect the U/Th ratio in corals. Three of an initial 16 Nukuleka samples had to be tossed out because growth rings in the sample gave substantially different ages, indicative of some kind of alteration. Burley says he’s convinced his team’s technique worked. One sample from the bottom level, for instance, where the charred nut had been recovered, “came right bang in the middle” of the radiocarbon date range. “That was real telling,” Burley says. Spriggs says he’s excited by the potential to apply coral dating to sites settled even before Tonga. Radiocarbon dating can’t say for sure if an artifact is, say, 3,000 years old or 3,200 years old, making it difficult to plot the initial movements of the Lapita out of New Guinea. “The only means that we have of providing absolute dates is fairly useless for the kind of questions we want to ask, such as which was settled first, did the settlement move from one archipelago to the next to the next,” says Spriggs.